Prominent & Leading Manufacturer from Vadodara, we offer rib steel doors and steel doors and windows. We have in store an impeccable gamut of Rib Doors for our valued clients. Fabricated by making use of supreme quality required basic material, these offered doors are provided anchor fasteners, hold fasts and fittings of mild steel/aluminum for fixing the frame with wall. 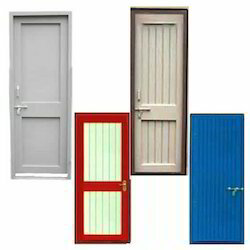 Furthermore, these offered doors are available with us in different sizes, designs, thickness and colors suited to the divergent demands of the clients. We are the foremost organization actively engaged in offering supreme quality Steel Doors And Windows. The offered doors and windows are manufactured with the help of premium quality raw material and sophisticated tools, in compliance with set industrial norms. 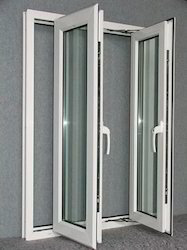 Our offered doors and windows are applicable for number of residential and commercial places as a security object. It is highly demanded by our clients due to enormous features. Clients can avail these doors and windows from us in various specifications at affordable rates.